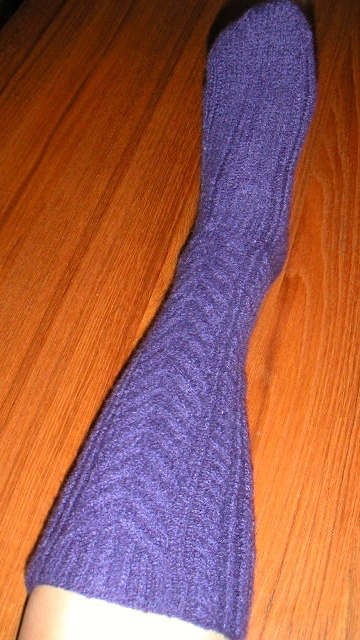 Here's one of the felted Tyrolean stockings. They turned out really nice and keep my feet very cozy and very warm. 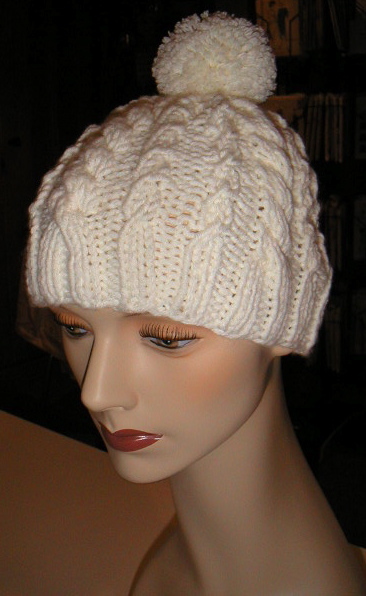 I also decided to make the Snowball Hat, which is also in the fall issue of Interweave Knits. I had some Lion Brand Kool Wool left over in my stash and used that to knit up the hat is a couple of hours. As the weather is suddenly getting cooler, it's the perfect time for hats and wool socks.